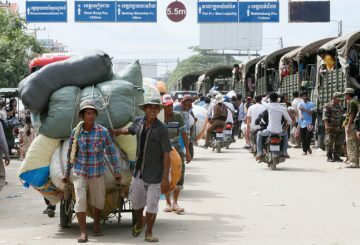 The Ministry of Commerce issues a sub-decree that puts an end to the presence of Camcontrol in border checkpoints. 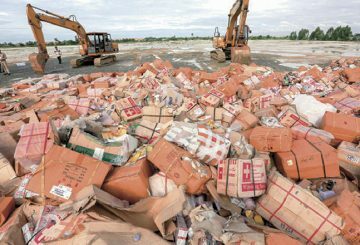 Camcontrol officials destroy more than 63 tonnes of sub-standard goods this year. 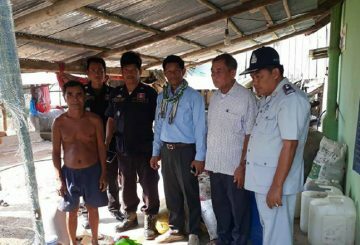 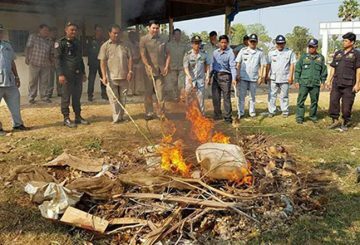 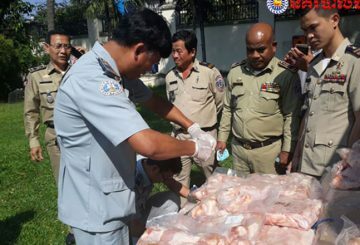 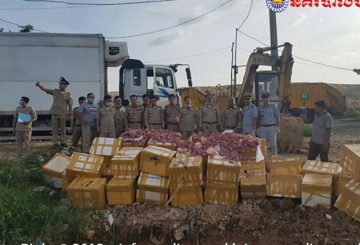 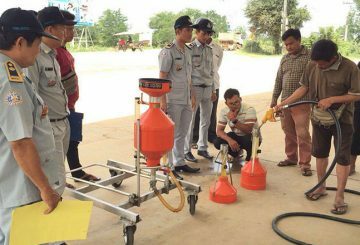 Nearly 300 kilograms of spoiled chicken meat was destroyed after it was seized at the O’Rumdoul border gate in Battambang. 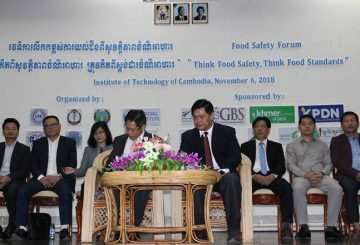 Government officials and industry experts yesterday highlighted the need for a stronger collaboration among authorities, the private and non-profit sectors and consumers to enhance food safety in the Kingdom. 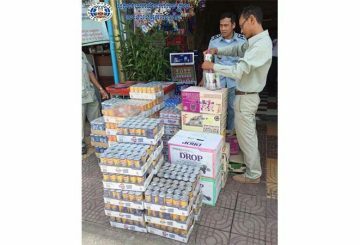 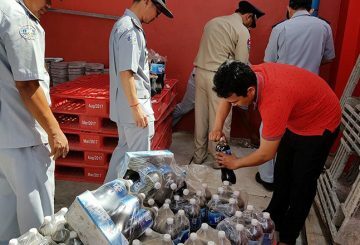 Kampong Chhang provincial Camcontrol officials on Monday seized nearly 2,000 kilograms of expired drinks during a raid in Kampong Chhang town. 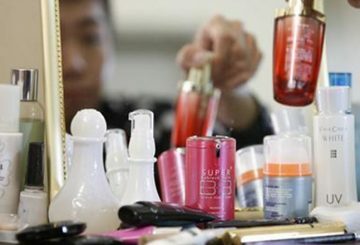 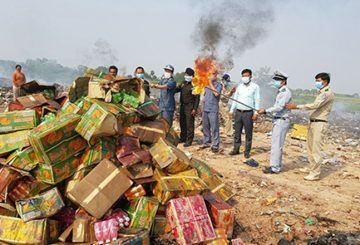 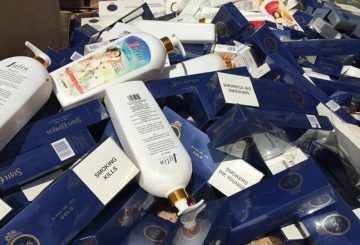 Anti-economic crime police and Camcontrol officers destroy more than 40 tonnes of counterfeit products in Dangkor district. 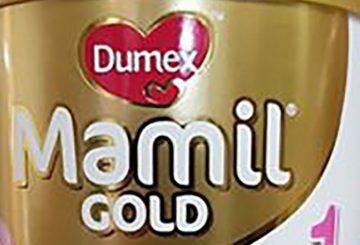 Camcontrol issues a statement advising local consumers, importers and retailers to stop the purchase and consumption of Dumex Mamil Gold Infant Milk Formula-Step 1. 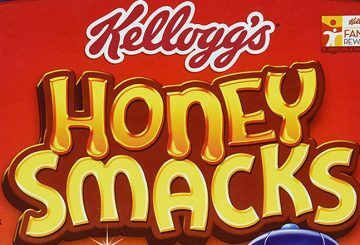 Camcontrol issues a warning against the consumption of Honey Smacks. 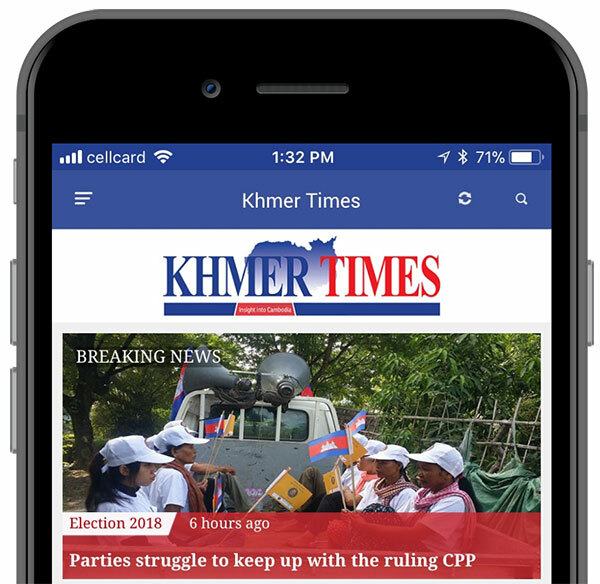 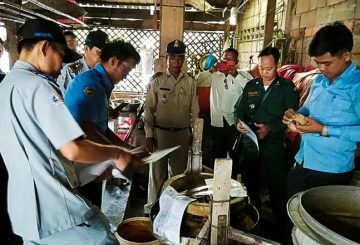 Camcontrol and Meanchey officials shut down a condiment factory in Phnom Penh. 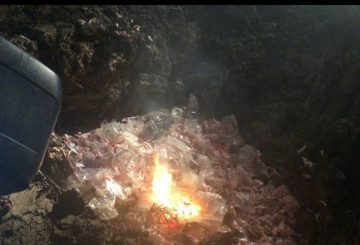 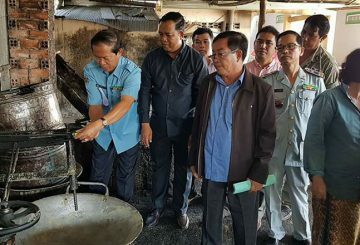 Authorities in Takeo burn more than one tonne of contaminated fish. 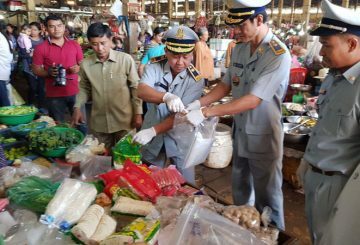 Interior Ministry’s anti-economic crime department yesterday destroyed more than 11 tonnes of mixed counterfeit goods. 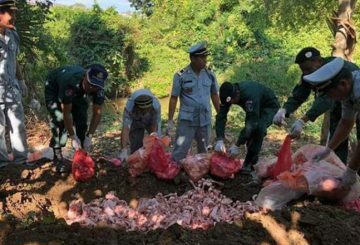 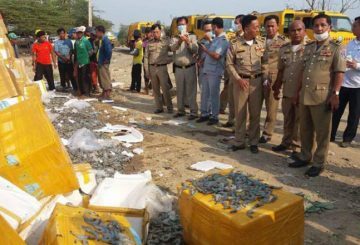 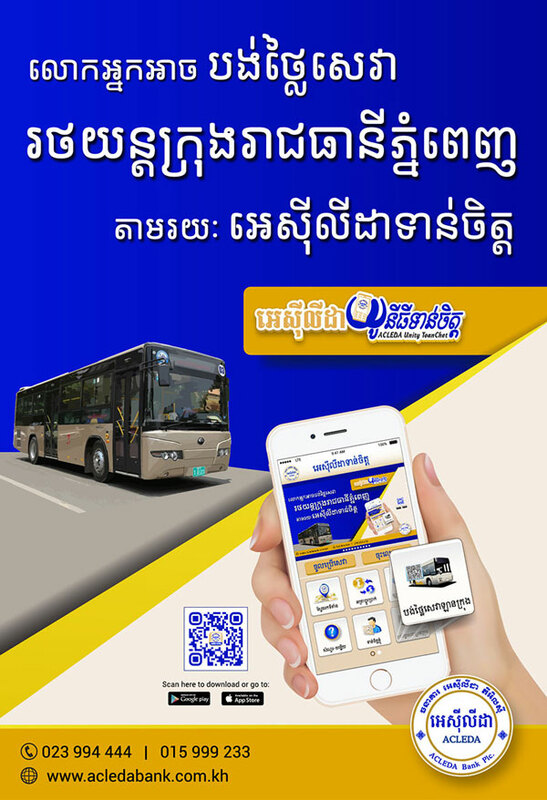 Banteay Meanchey province’s CamControl department destroyed nearly half a tonne of tainted meatballs imported from Thailand. 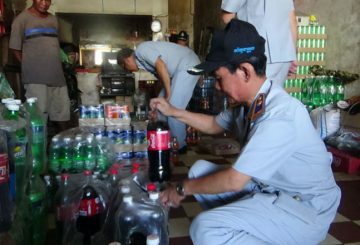 Takeo Camcontrol officials seize and destroy100 bottles of expired soda at a Cambodia Beer Company depot. 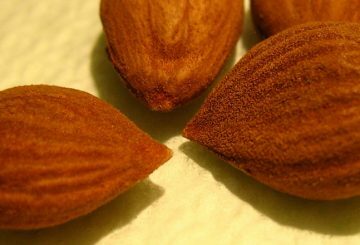 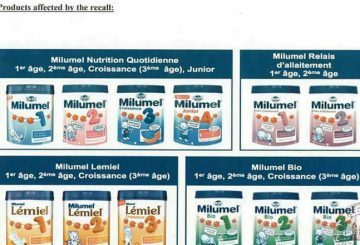 CamControl bans the import of Milumel, Lemiel and Picot baby milk products after confirmed harmful to the health of consumers. 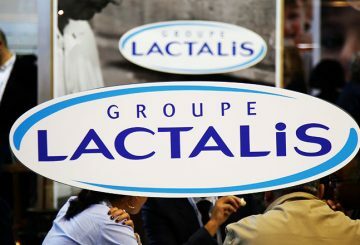 Camcontrol believes Lactalis’ products pose a serious health hazard in the kingdom, and can be very harmful to the health of children. 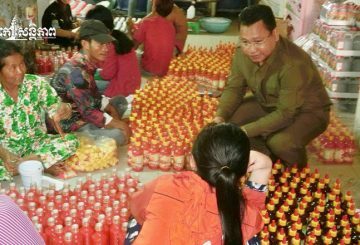 Authorities in Takeo province’s Baty district shut down 43 facilities making fake palm sugar and owners were ordered to remove what is already made. 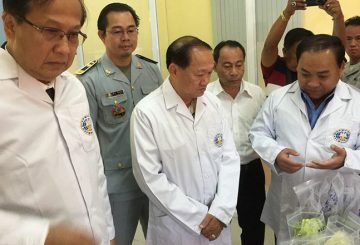 The new two-storey food safety lab is staffed by four Camcontrol officers. 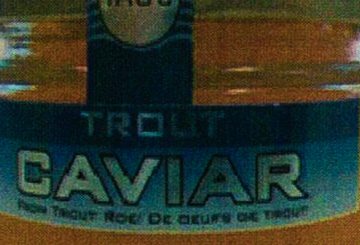 CamControl has called on the public, importers, wholesalers and retailers not to buy or import Rainbow Trout Caviar products. 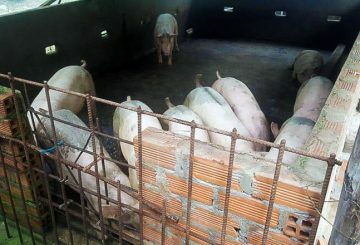 CamControl has not discovered any cases of pork injected with chemicals, despite a report showing 3,750 pigs injected with sedatives. 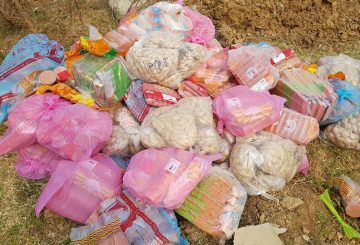 Two Chinese noodle shops are closed for using the chemical borax, police impound more than 300 kilos of noodles.